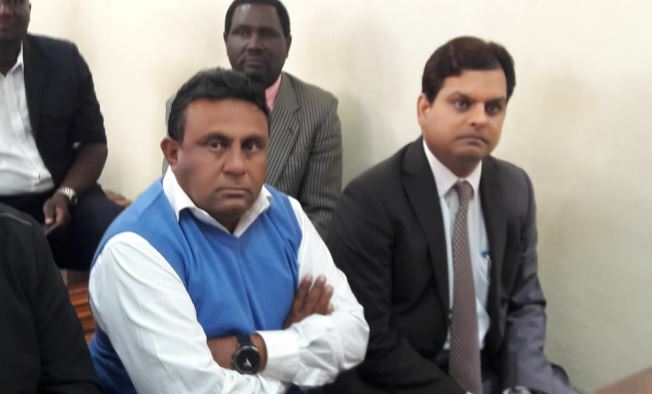 The owners of the Solai dam that collapsed and killed 47 people in Nakuru in May, have been detained until Friday after being charged with 47 counts of manslaughter in a Naivasha court. The two, Perry Mansukh Kansagara and Vinoj Jaya Kumar will spend the night in police cells pending bond ruling tomorrow (Friday). Nakuru County Water Director Johnson Njuguna was also arraigned in court over the dam tragedy for neglect for failing to present an environmental impact assessment report of the killer dam. Prosecutor Catherine Mwaniki asked the court to issue a warrant of arrest for six other people who have not been charged as directed by DPP Noordin Haji.